Designed for comfort and durability in wet conditions, the Nike SFB Jungle features breathable canvas and water-drainage ports in the midsole. The outsole is equipped with an aggressive traction pattern and internal Kevlar layer for multi-surface grip and puncture protection. DURABLE DESIGN WITH WATER MANAGEMENT. Ports and metal screens for water drainage and protection from punctures. Rubber outsole gives you fast-roping durability. Aggressive pattern for great traction on soft surfaces. Pebax® plate on bottom moderates flexibility and stability. Internal Kevlar layer protects against punctures and decreases pressure on the bottom of the foot. Second pair and just like the other they will see heavy hiking/trail use as well as casual abuse. Never had a bad experience with these and never felt as though they werent perfect for the day. Spent a week in hilly jungle in PNG. 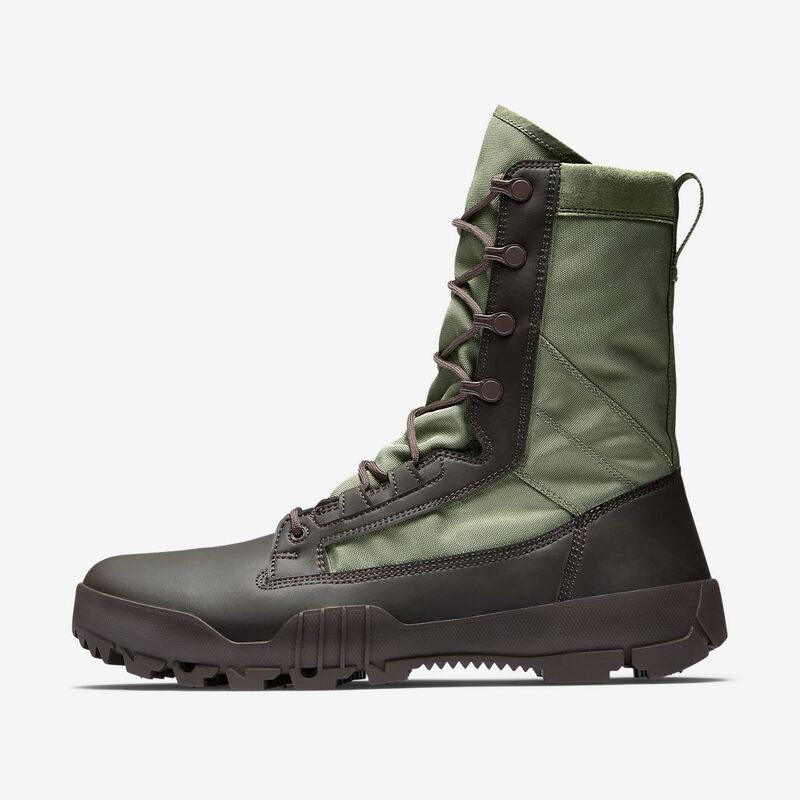 I thought the boots were great, comfortable, easy to dry at night, but a piece of the sole on my right boot tore off - similar experience to some of the other reviews. The left held up fine and two friends I was with both had the same boots (both loved them) and had no problems. So 5 of the 6 on this trip held up fine - you may just get unlucky. Other than that, I loved them. Great boot - just need to get the production side nailed down.